That was a Hill of a game! There may have only been around 17,000 fans at the Rogers Centre to witness it, but tonight’s 5-4 walk-off win over the Tigers didn’t even need the beer to make it exciting. Scheduling conflicts with the Leafs and Raptors made it difficult to watch/listen to the game, but it was totally worth it. For a while I was having flashbacks of that 1-0 loss on August 27th, 2008 to the Tampa Bay Rays where the Jays couldn’t even put one run on the board while David Purcey posted Halladay-like numbers. I even had a blog title post ready for the post-game wrapup – “Poor, Poor Purcey”. But then something miraculous happened; the lineup finally decided it might be a good idea to but some runs on the board. First it was Scott Rolen with a solo shot. Then Aaron Hill flipped the script with his 3-run homerun, and the Jays were poised to win the game. I’ll be honest, I screamed like a little girl at a Jonas Brothers concert when Hill went yard. But then after I heard B.J. Ryan was coming in to close it out, I got nervous. Although there were a few hiccups, miraculously the offense came through in the bottom of the 9th for the win. Last year, the Jays didn’t get their first walk-off win until July 8th. But this season, the Blue Jays only had to wait until the second game of the season to celebrate in dramatic fashion. 2-0. That’s definitely a good start! 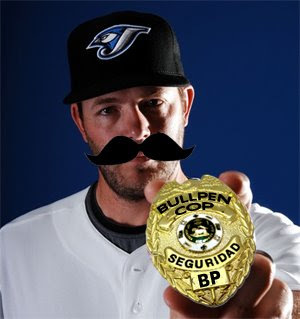 I hope the Jays continue to make you scream like a little girl at a Jonas Brothers concert. 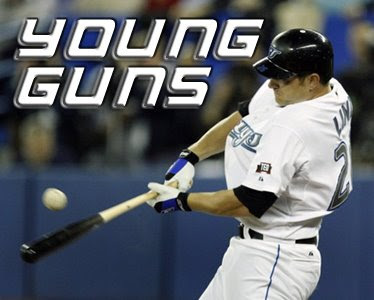 welcome 2 the Jays future = Rios, Hill, Snyder, Lind! 2 and OH yeah baby!!! The Jays can overcome adversity. Undefeated to start the season. What more could we ask for, right guys? We’re certainly getting our money’s worth this week. Definetely, headed to the game thursday afternoon. Should be a good game. Two young kids – Porcello and Romero are starting the game. Let’s go for the sweep! I think Deadspin stole your picture!! The beer picture? Oh no, I stole that off of flickr. I am a hack, all the way.